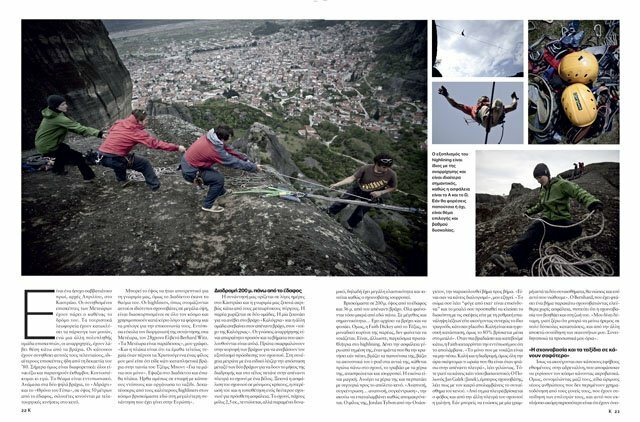 Click here to see the SportWeek article translated into English. 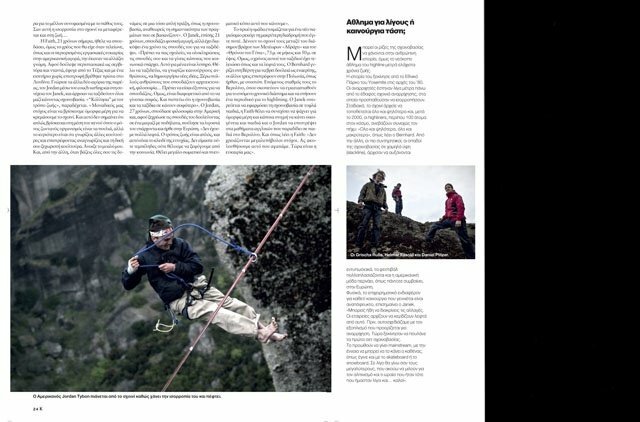 We are in close contact with Gory Magazine, the largest climbing magazine in Poland. 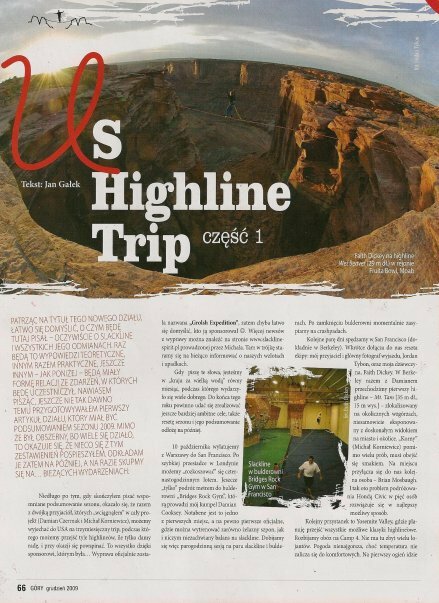 Janek writes for them on a monthly basis; he is allowed 2-6 pages depending on the project and the size of the expedition. 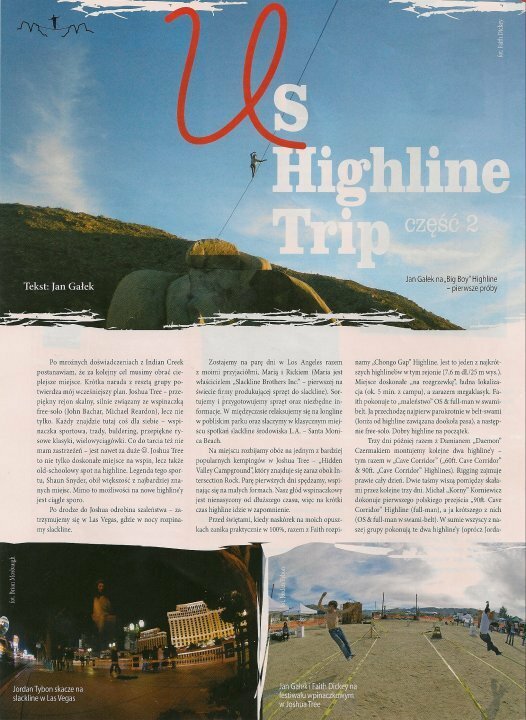 The August issue will feature our project in the Tatra mountains as the cover story. 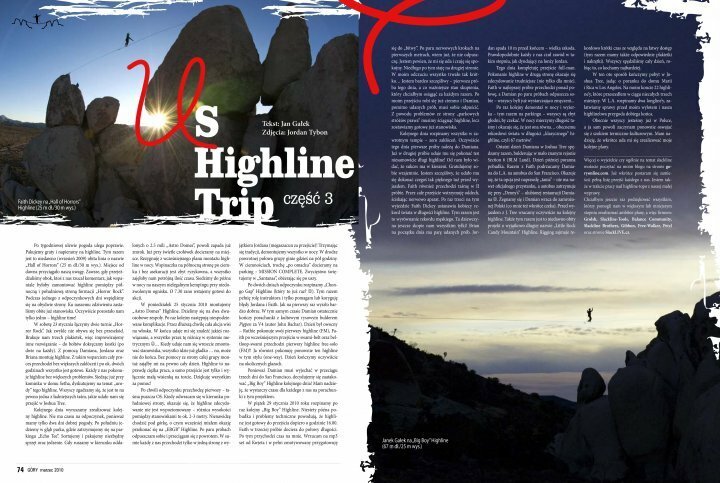 This will be the first highline ever done in the Tatras and the proposed location will be spectacular. The reporter had met Bernhard in Greece as he was working to prepare a hillside for highway construction. 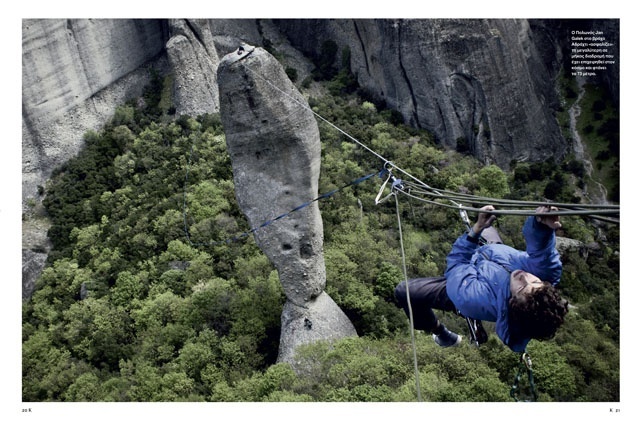 He informed her about our project in Meteora and we travelled down to Athens to meet up and speak with her about highlining and the trip. Gory Magazine decided to do a three-part series on our US Tour. Janek would publish the articles from a tent whilst he and Jordan would battle over laptop battery power to write and edit photos. 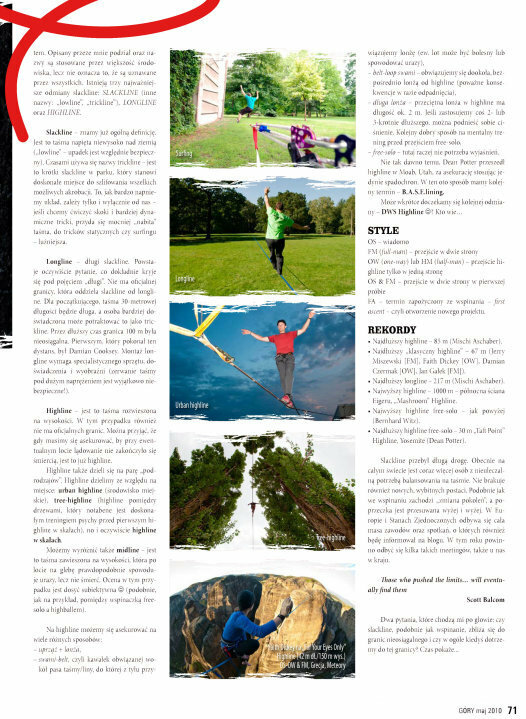 The articles were met with great success in the magaizine, and Janek was offered his own space every month to write about slacklinig. 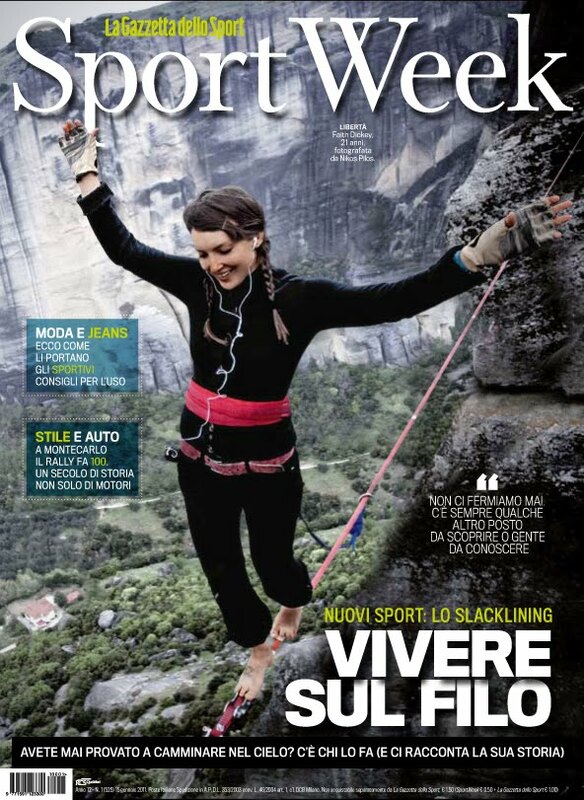 This is the first climbing magazine which has made a commitment to promoting this beautiful art, and we should all be thankful that someone is paying attention. 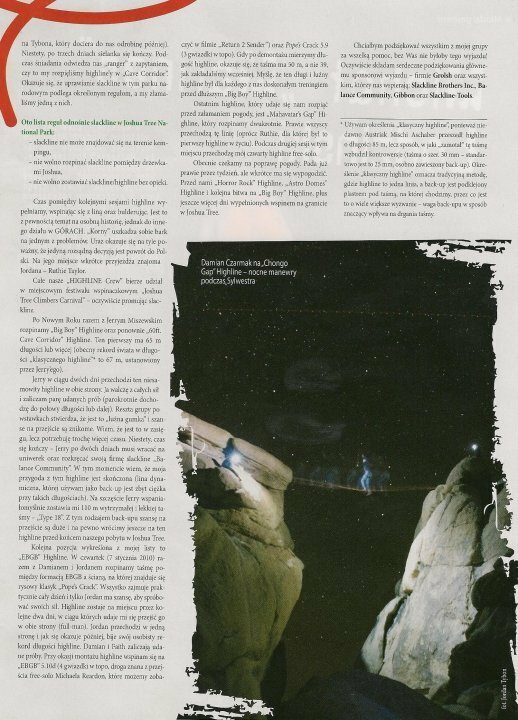 An article in the largest Wroclaw newspaper about Jan, Faith, Damian, and Jerry breaking the world record on Big Boy, a 67 meter highline in Joshua Tree, CA.